Case Clicker by Hawk Games is an iOS and Android game that has an interesting concept about it. It describes itself as a combination of counter strike case simulator with clicker, and there are indeed a few elements that you may recognize from Counter-Strike, a title that was a huge hit among gamers over a decade ago. 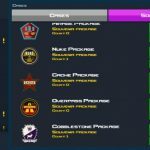 The game’s features include arm deal contracts, more than 150 achievements, a rank system, over 175 upgrades, and more than 600 skins and 200 stickers you can unlock. Additionally, there’s a mission system and a souvenir system to spice things up a little further. As this game is definitely different from the average mobile title available these days, we’ve thought that it would be a good idea to share some useful Case Clicker cheats, tips and strategies that can help you keep going further, securing better cases and guns in the process. The game allows you to use more than one finger to tap. We suggest that you use your left and right thumb, alternating them, but not tapping with them at the exact same time. You can earn more money and open more cases by tapping faster, so go nuts when it comes to tapping on your display – just make sure you don’t end up tiring yourself out too much. Opening more cases would allow you to unlock more upgrades in the in-game store. These would allow you to earn more money per click, and open the box more often per tap. This can also help you get better box rewards when you spin the roulette. 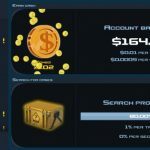 You can end up earning cash automatically this way, and even keep earning when you’ve gone offline. Continue purchasing upgrades so you can earn more money, even when away from the game. 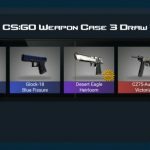 We did tell you that Case Clicker has some elements borrowed from Counter-Strike, just as advertised. But that doesn’t include actually using your guns. Instead, the only thing you can do with your guns, as well as knives, clubs, and other weapons, is sell them for money. You’ll normally find guns inside crates, but just as a disclaimer, a lot of the guns you find inside will be virtually useless in terms of their value. You may want to do it trial-and-error style – opening all the crates you find, in hopes of getting better guns. What you would want to do instead is to keep acquiring more cases quickly, and do some cherry-picking – only open the cases you know are good. That’s going to give you a better chance of getting good weapons, as well as a lower risk of losing money. Go to Case Clicker’s in-app store and you’ll have the option to watch advertisement videos. Watching these ads, which shouldn’t take more than 30 seconds, will allow you to get free stuff, including crates and (temporary) coin multipliers. You can watch as many videos as you could, but if there aren’t any, you can exit the game and reopen it about 15 minutes later, so you can be assured of having some new videos to access. Are you looking to get souvenirs, autographs and sticker capsules the easy way? 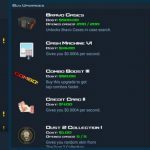 Check our second Case Clicker guide on how to get these goodies. Also, if you want to obtain some rare cases and skins in the game, we suggest you to take a look at our dedicated article, which helps you do just that.